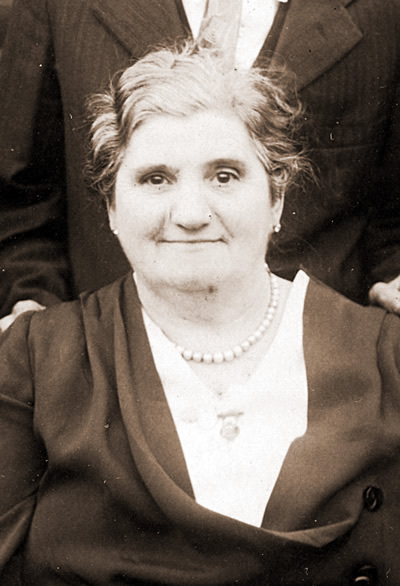 Lillian Allcock, daughter of Edwin Allcock and Hannah Lewis, was born on 01 Jul 1873 at Birmingham, Warwickshire, England. She married John Boddice, son of Thomas Boddis and Phoebe Williams, on 29 Jun 1891 at All Saints Church, Wolverhampton, Staffordshire, England. She died on 04 Nov 1958 at Charleroi-Monessen Hospital, Pennsylvania. She was buried at Grandview Cemetery, Monessen, Westmoreland County, Pennsylvania.